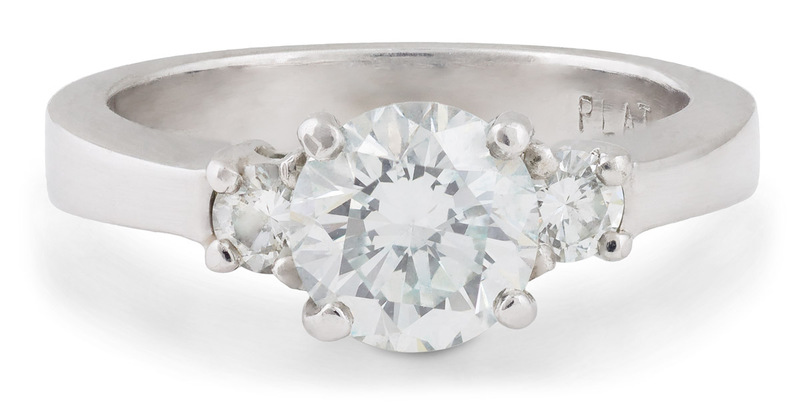 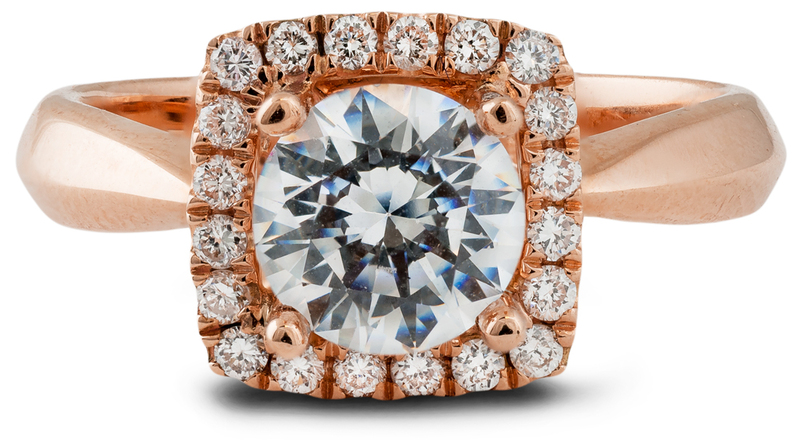 This is a beautiful and balanced interpretation of the halo style engagement ring. 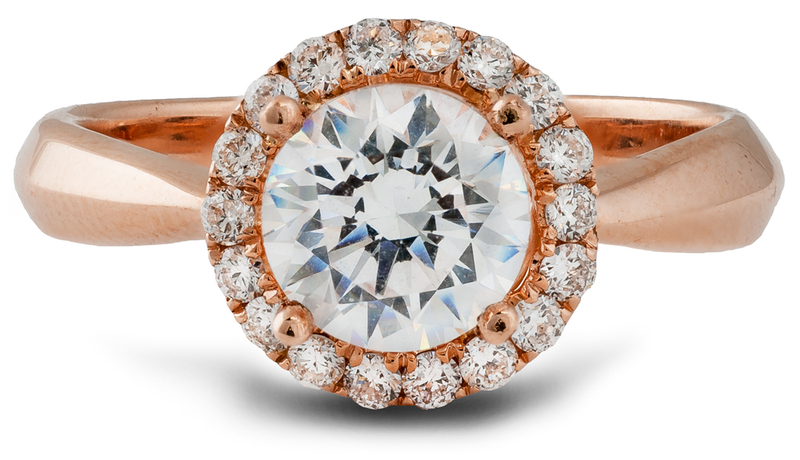 A circle of small accent diamonds surrounds the round center diamond making it appear larger than it actually is. 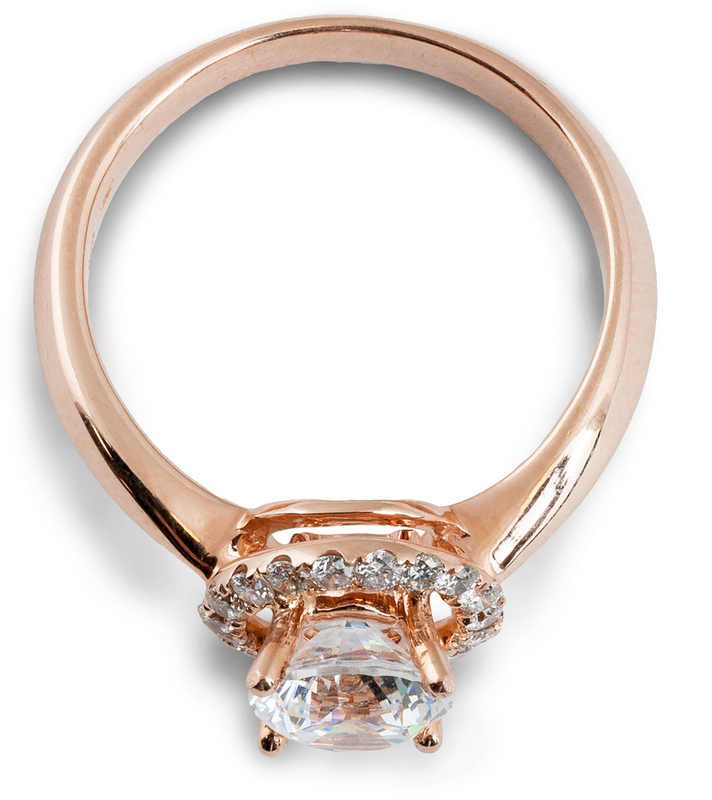 A simple tapered shank leads up to the halo focusing all attention on the center diamond.